Nigerian leading digital agency, Dotts Media House has released the first ever Influencer Marketing Report in Nigeria. The maiden edition of the report, which gives a detailed overview of Nigeria’s social media landscape with a comprehensive data analysis and facts about influencer marketing with focus on perceptions, trends, challenges, misconceptions, and projections within the industry will continuously explore industry trends and genuine data analysis for a yearly report. With over 500 respondents and a combined effort and contribution of relevant stakeholders in the industry, who represent brands/agencies, CEOs, content consumers, content creators, social media influencers and marketing professionals, the major goal of the Influencer marketing report is to put the Nigerian social media landscape on the global map with the objective to majorly express the state of this form of marketing in Nigeria. 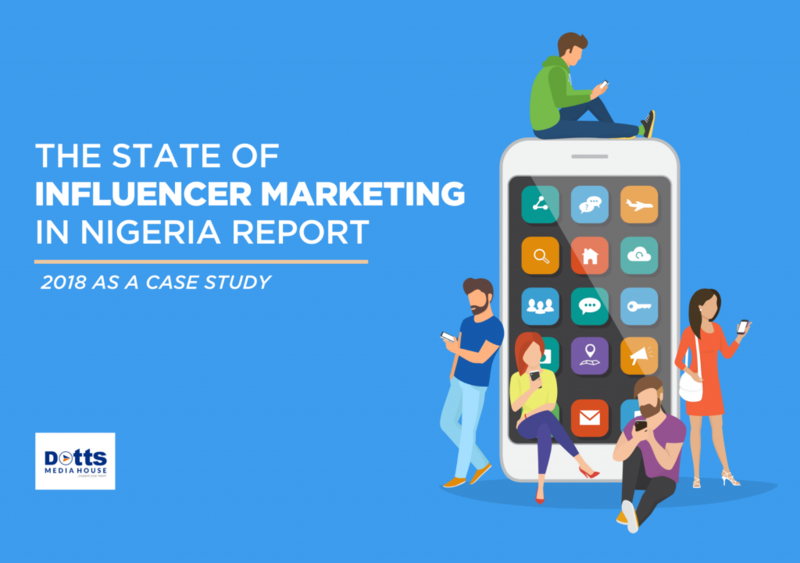 Visit www.nigeriaimreport.com to download The State of Influencer Marketing In Nigeria (2018 as a case study).